Pannam’s sales and engineering team can guide you through the process of specifying materials and components for your user interface assembly. Our application engineers work close with you to understand your requirements and recommend the most cost-effective solution to meet those requirements.The links below provide technical data to help you determine the suitability of various materials and components for the end-use application in which they must operate. Certain films are suitable for outdoor use with UV inhibitors for resistance to the UV effects of sunlight. Available with built-in Microban antimicrobial protection that inhibits growth of bacterial, mold & mildew. The most common circuitry material is heat stabilized polyester, typically in .005” or .007” thickness. Suitable for high surface energy materials such as aluminum, steel, polycarbonate, ABS, nylon, etc. Available in thicknesses of .002” and .005”. For adhesion to textured surfaces the .005” thickness is recommended. Service temperature range of -31°F to +300°F for prolonged periods and +400°F for short periods. Available I nthicknesses of .002”, .0035”, and .005”. For adhesion to textured surfaces the .005” thickness is recommended. Service temperature range of -40°F to +200°F for prolonged periods and +300°F for short periods. Excellent environmental, temperature, chemical and humidity resistance. Set your equipment apart from the competition. Contact Pannam now regarding your membrane switch project.Visit our Product Gallery to learn more about the various constructions and product features we can offer, and learn how Pannam can customize your membrane switch assembly to meet and exceed your unique application requirements. 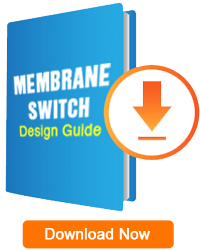 The integration of custom components to your membrane switch assembly can often add significant functionality and enhance the user experience when operating your equipment. 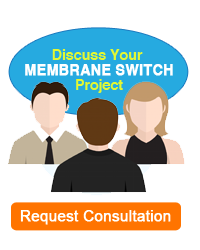 Contact Pannam now regarding your membrane switch assembly project.